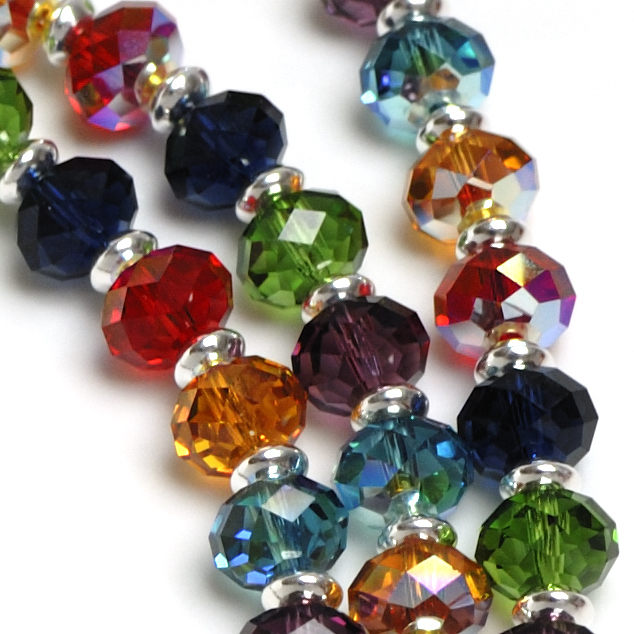 Beautiful Silver Sterling beads (4,5mm) and Swarovski Crystal beads (8mm). 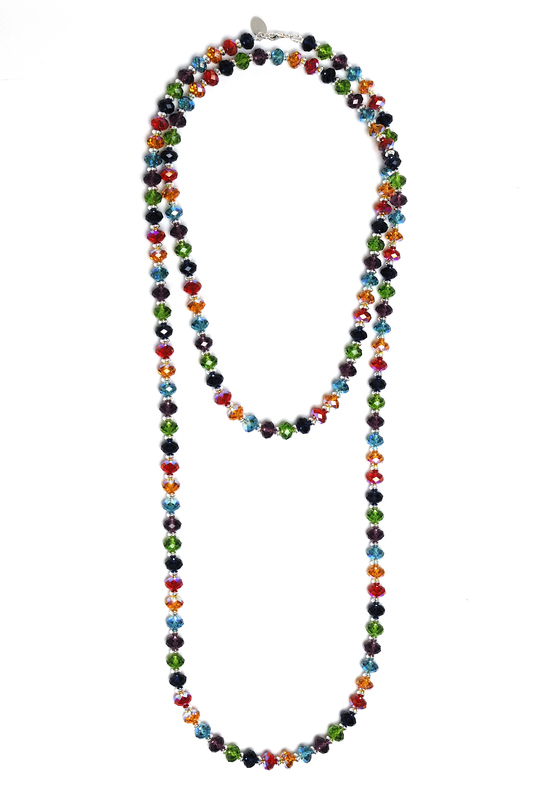 This colorful necklace is the trend of the moment and definitely a statement! 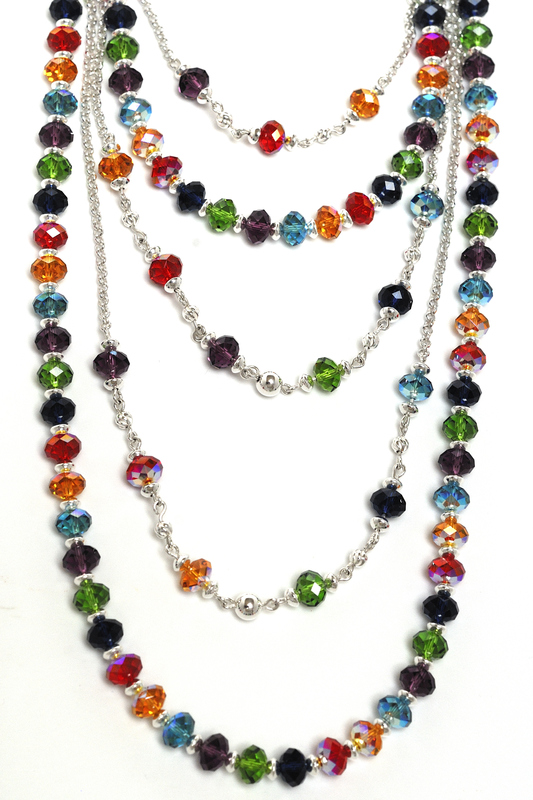 Can be worn doubled! 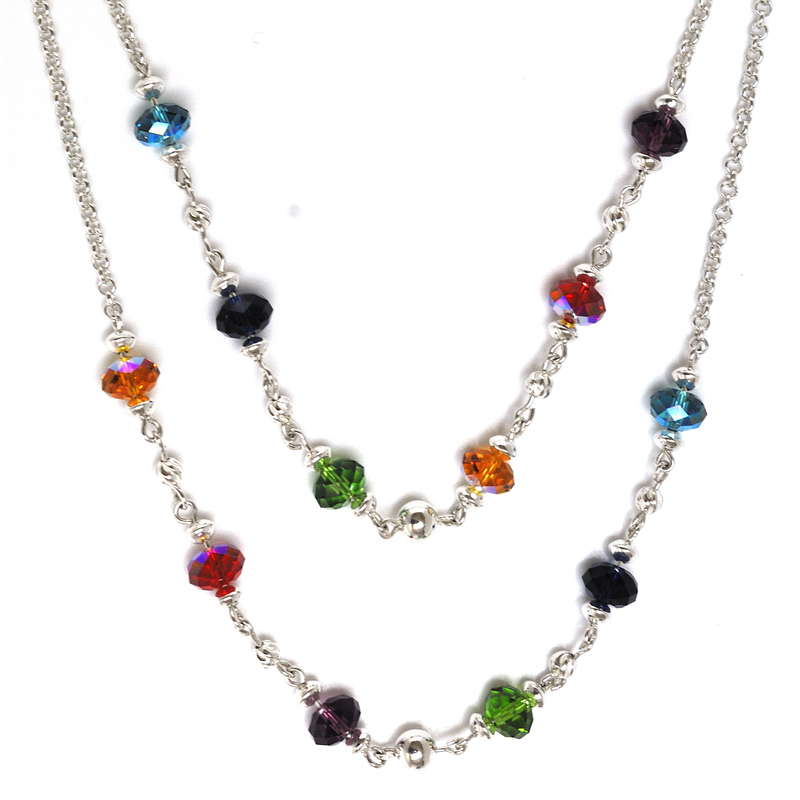 With 9 mm Silver Sterling Clasp. 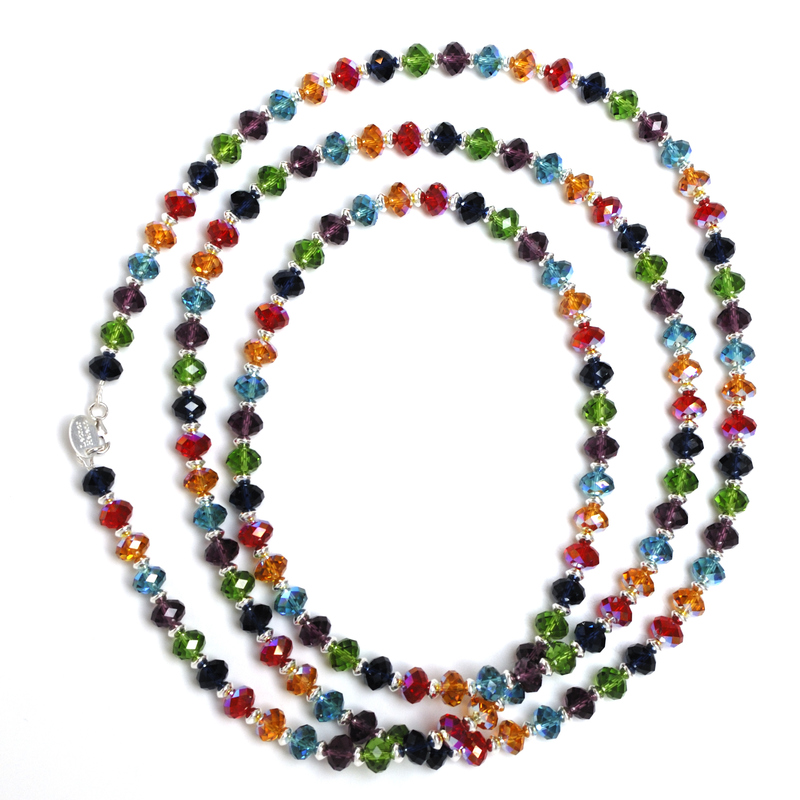 Perfect to mix and match with its Little Sister!! Can be also ordered in different sizes, 65 cm, 95cm or 120cm.